Who wouldn’t love an architect-designed modern masterpiece home? 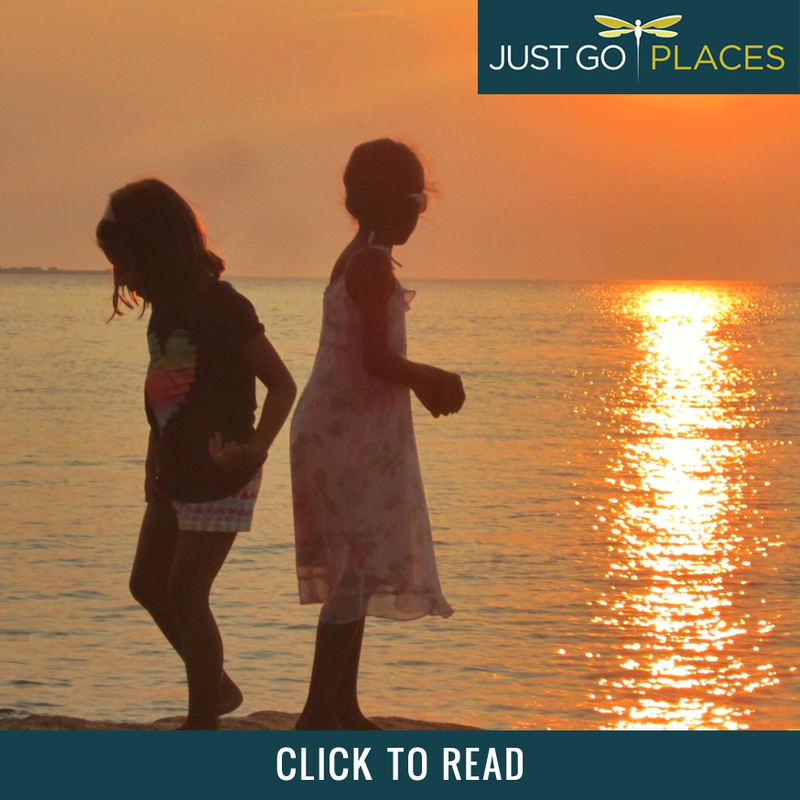 Sadly, such things as budgetary constraints get in the way for most people. 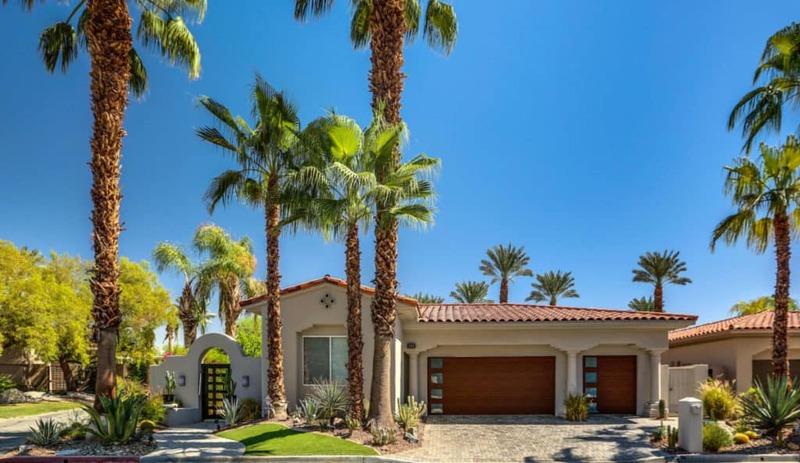 I love this MLS listed home in Palm Desert California because from the outside it looks like your bog-standard quasi-Mediterranean home backing onto a golf course. You got hundreds of these dotted throughout the USA. 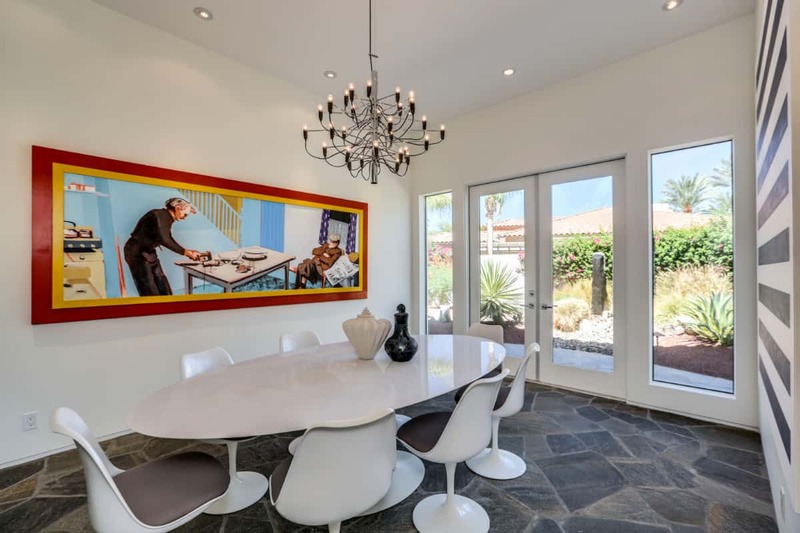 The inside of this particular Mediterranean built in 1997 is pretty special though primarily because of its mid mod furniture, especially all the iconic chair designs. From the outside though this home still looks like a pretty standard golf course home. Snoozefest. A golf course home in Palm Desert California. Chairs are architecture, sofas are bourgeois. Taking our cue from Le Corbusier, let’s focus on the iconic chair designs in this room. This house is saved from looking like a museum because (i) it’s huge and (ii) there’s a huge variety of modern chair design sprinkled in among the other mid mod furniture. I was not surprised that this home was featured in Bravo TV’s Flipping Out with Jeff Lewis and underwent a full redesign in 2015. There are a lot of mid century modern chair styles in the space. 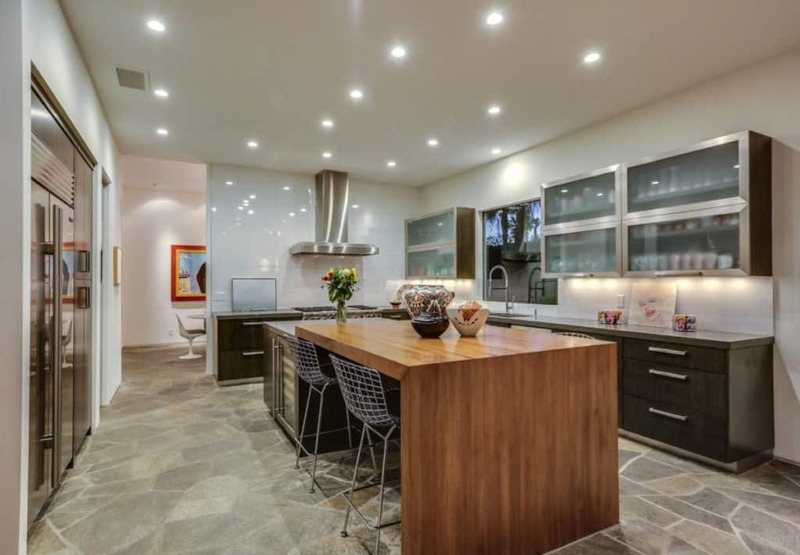 Oh yeah, the nearly $2 million dollar price tag does NOT include any of the furnishings. Of course, this house has an Eames designed Molded Plywood Chair from 1946 which Time Magazine called the best piece of design of the 20th century. In the living room, you’ve got the Nelson Marshmallow Sofa (1956) which is comprised of 18 circular cushions perched on a steel frame. The Noguchi Coffee Table created by Japanese American artist Isamu Noguchi in 1948 is also design classic. You have seen the Barcelona Chair in so many waiting rooms you probably didn’t realise how old this design is! Created by Mies Van der Rohe in 1929, this chair was for the use of the Spanish Royal family during the opening ceremony of the Barcelona International Exposition. The Barcelona Chair follows his maxim that less is more with two leather cushions over a stainless steel frame. The shape of the Barcelona Chair is that of a Roman folding chair used by people in power. 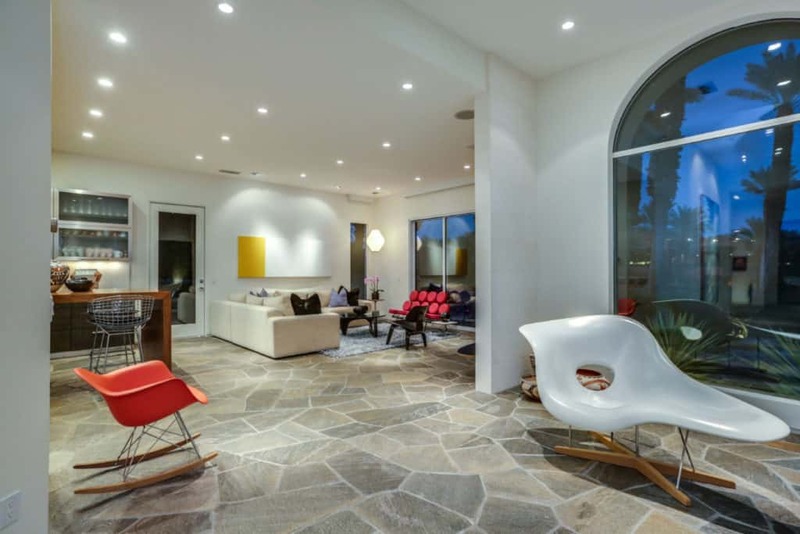 The living area has two great mid century modern chair styles perfect for ancillary seating – a mid century rocking chair and a chaise lounge. 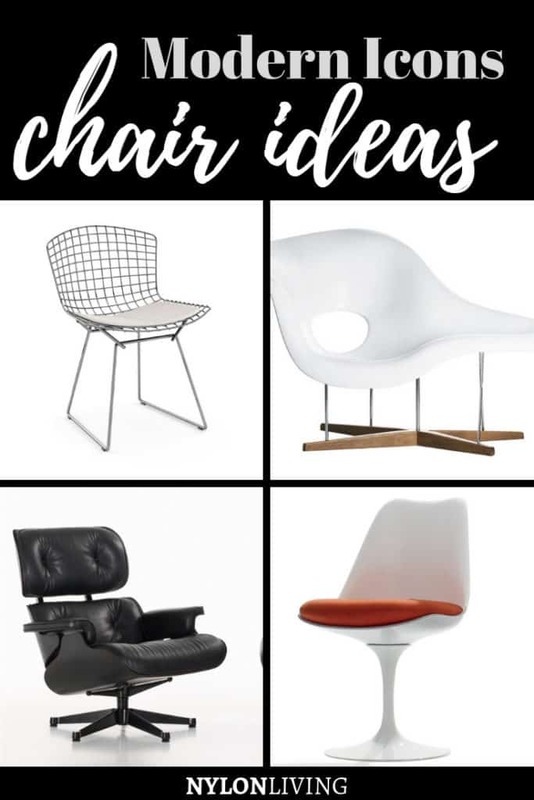 Both the Eames La Chaise and the Molded Plastic chair were created by design duo Charles and Ray Eames was first created as an entry into the Museum of Modern Art’s 1948 Competition for Low Cost Furniture Design. Both pieces of modern chair design are molded plastic on an industrial metal base with oak accents. Although La Chaise got an honourable mention at the MoMA competition for its fluid, organic shape, it was too expensive to mass produce! The Side Chair though was mass produced to much acclaim and in many colors. Influenced by industrial design, Italian sculptor and furniture designer Harry Bertoia designed the side chair and the diamond chair in 1952. Merging the practical with the artistic, the Bertoia chairs are one of the instantly recognisable iconic chairs of the 20thcentury. Although made with an industrial material like steel, they have a light, floating filigree quality appearance. The Tulip chair and table were created by Finnish American architect and designer, Eero Saarinen. The central pedestal based shape adds a clean look to what he considered the usual “slum of legs” underneath a dining table and chairs. The Saarinen Tulip Table top is inspired by a drop of water. Although it looks like one whole piece, it’s aluminium on the inside for strength with a plastic overcoat. Hanging over the Saarinen Tulip table, that’s a Sarfatti 2097/30 pendant light introduced by the Italian designer in 1958. 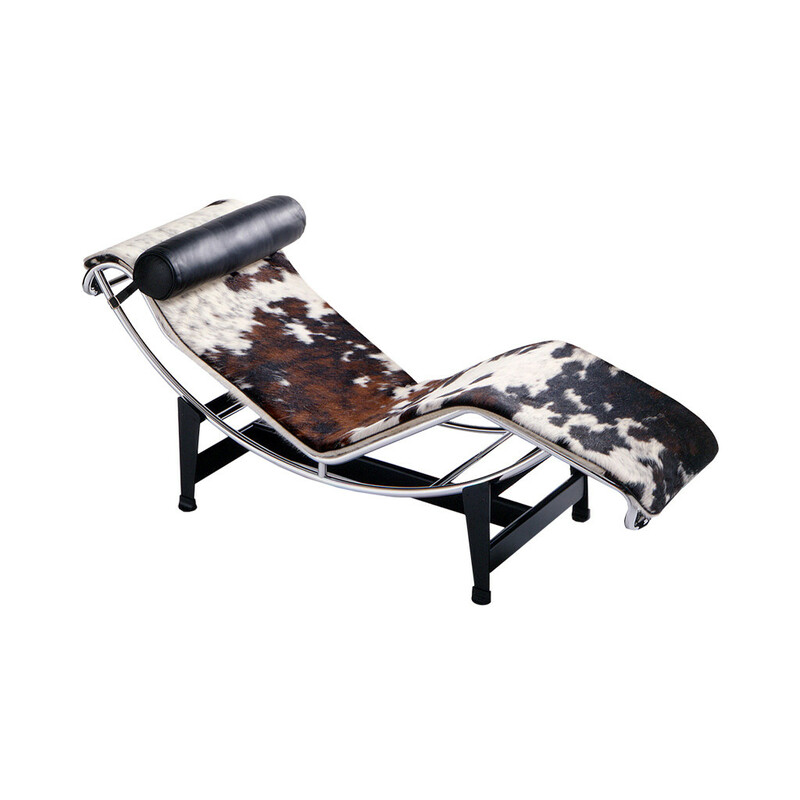 Designed in 1928, the Le Corbusier Chaise Lounge shot to fame in the mid 1960’s when it was produced by Italian furniture brand, Cassina. Hungarian architect and furniture designer of the Bauhaus Movement, Marcel Breuer, designed the Wassily Chair (shown in red above) in 1925-26. Originally named the Model B3 Chair, it is more well known as the Wassily Chair after Breuer’s friend, Russian painter Wassily Kandinsky. The Wassily Chair was inspired by both the traditional club chair and the tubular construction of a bicycle’s handlebars. The shape is that of an overstuffed club chair but reduced to its simplest elements with leather and steel. The Eames Lounge and Ottoman Chair is one of the most iconic chairs of the 20thcentury. Strictly not a chair but I love the Nelson Platform Bench designed by George Nelson for Herman Miller in 1946 at the foot of this bed. It can be a coffee table, a bench, etc – the simple style lends itself to many uses. I’m not judgmental on whether you should have real or reproduction versions of the famous chairs of the 20th century. I personally prefer to buy the authorised versions because I think the quality justifies the price. For example, I got an Eiffel style mid century modern side chair for my son’s room and he broke it in about 6 months. He loves good design but also clambers all over the furniture. 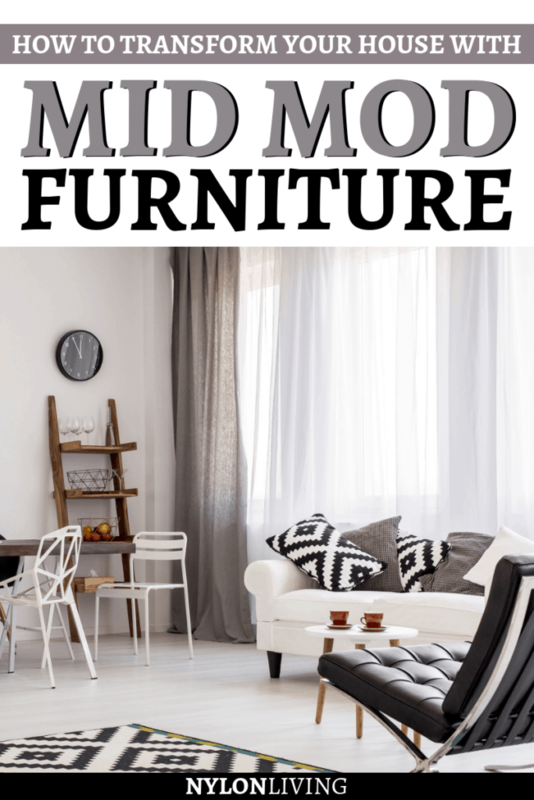 If you are starting your own collection, an authentic mid century modern side chair or mid century modern accent chair is less expensive than saving for a mid century modern sofa. So, what’s the takeaway? You can work with what you got and creating something special. Buy a standard home that looks like every other one in the development but make it YOURS. 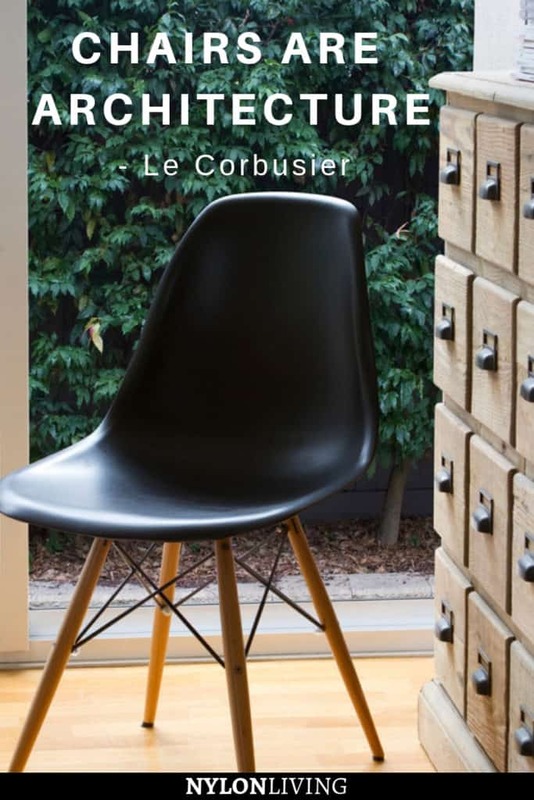 Like the look of these iconic chair designs? Spread the Word! Pin this to your Pinterest Boards for future reference! Mid century accent chair styles that will elevate your home’s style!